Honey nest Kloof – Under Every Leaf. 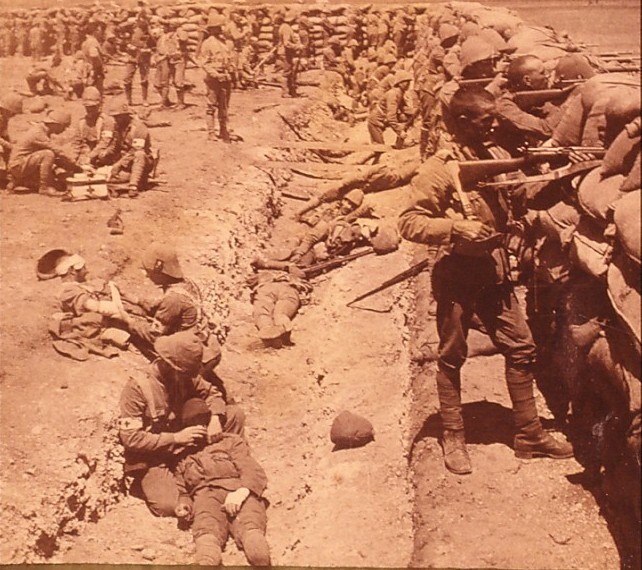 This is one of my favourite pictures from the Boer War. 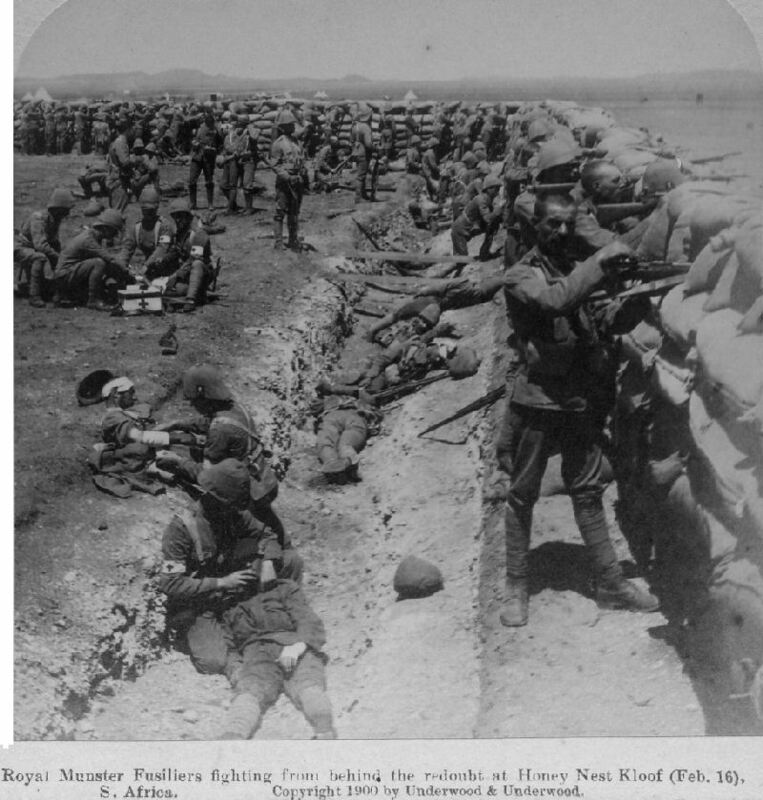 It is labelled Royal Munster Fusiliers fighting from behind redoubt at Honey Nest Kloof (Feb 16th 1900). Now I have always wondered if this was real or staged for the photographer. A number of things have concerned me. 2) The two soldiers closest to the camera are bareheaded, would a NCO or officer allow this? 3) The soldier laying in the centre seems to be sitting up staring into the camera. Then again, the treatment of the casualties seems to be real and the officers in the background look like they are directing the action. This afternoon I was browsing the excellent boer-war.com and came across this picture. Obviously, this picture is taken either just before or just after the first picture. The only really difference is the soldier on the left is now staring into the camera and the one of the medical orderlies is also looking into it. Does this second picture confirm that it is a setup or a real action shot from the Boer War? To be fair I’m not bothered either way…it is still a great picture.